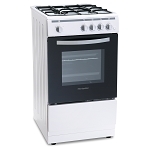 We can arrange professional installation of your gas or electric cooker. 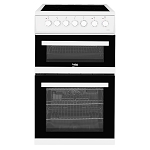 If you don't see your perfect cooker here then please get in touch by phone or email or come see us in store as we can order from 100s of different cookers from most of the top brands including Hotpoint,Stoves,Belling, Indesit, Beko, Zanussi and Newworld to name a few, plus our prices are extremely competitive. 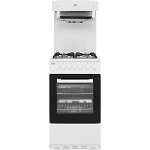 Cooking is what brings your kitchen to life and there is nothing better than the smell of baking cakes or a delicious Sunday roast wafting across the kitchen. 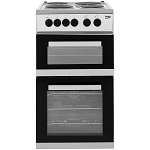 Whether your cooking for a family or yourself its important to have the right cooker to suit your kitchen and your cooking style. 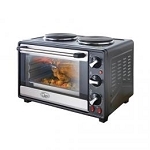 Cookers are available in 3 fuel types Gas, Electric and Duel fuel which means the oven is electric but the hob is gas. 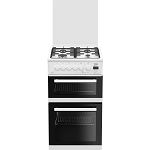 Size is an important consideration when choosing a new cooker as there are various widths available from slimline 50cm wide models right up to 110 cm wide range cookers. The most popular sizes we sell are 50cm wide and 60cm wide. 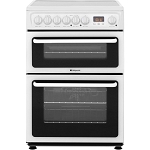 We recommend measuring the gap your current cooker fits in to check which size is the most suitable for you. 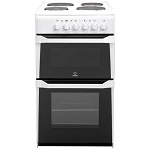 Colour is a great way to express your personality in the kitchen and there are a whole range of different colours available depending on the type of cooker you want, from the standard white and black to stainless steel and mirror finishes as well as colours like red, blue, cream and even union jack design! 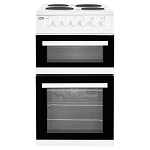 We display a range of our most popular cookers but we can order many more for you from a wide range of manufacturers at great prices. 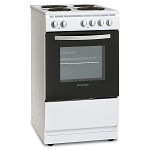 We are members of Euronics, which is Europe's largest independent electrical buying group which means we benefit from the combined buying power of 100s of members bringing our customers low prices and some exclusive products and offers combined with the friendly local service of David Burys.